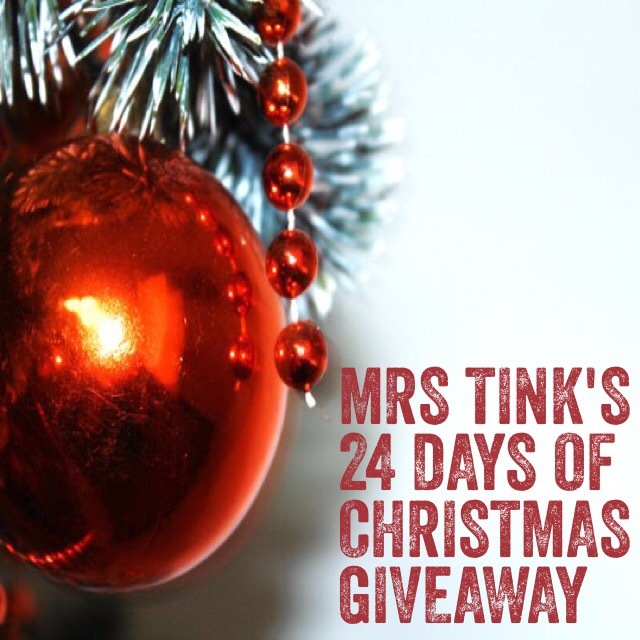 It’s day 14 of Mrs Tink’s 24 Days of Christmas Giveaways. 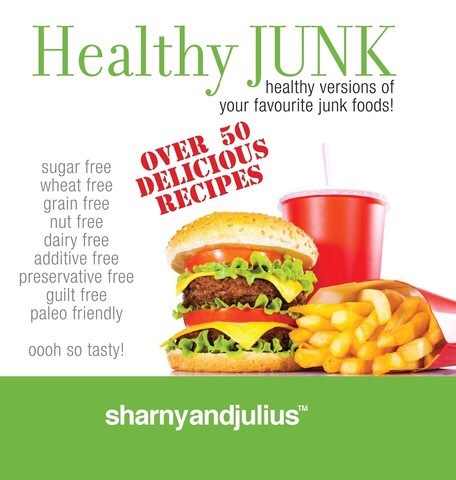 Today’s giveaway is from one of my favourite couples the very fit and fabulous duo Sharny and Julius who have found a way to bring you delicious naughty food that is also really good for you. 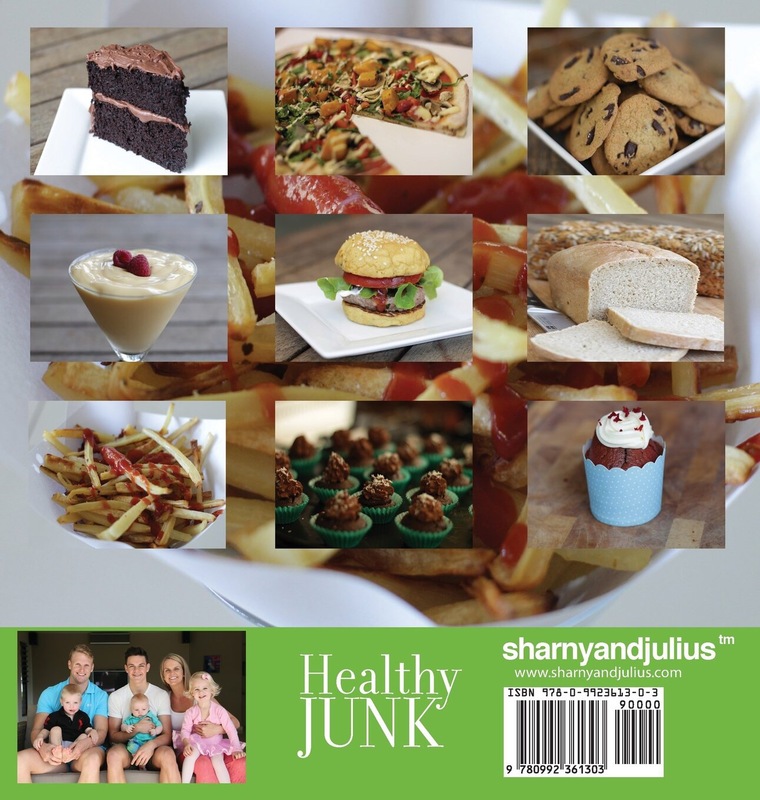 Ladies and Gentlemen let me present you with Healthy Junk! Nut free and totally delicious. What is your best tip for staying healthy over the holiday season ? You have until 11am Monday to enter. We will choose our favourite answer and announce a winner at 12pm and post both on here, Instagram and also the Mrs Tink Facebook Page. Renegade fitness experts Sharny and Julius shot to stardom when their first book,Never Diet Again was released to the public in June 2011. The book was an adaptation of a step by step ‘escape the diet trap’ program that they had created for their private clients. So successful was the program in changing people’s lives that the clients literally begged to make it into a book, which would be more accessible to friends and relatives overseas. Oh geez, we would write a whole bunch more here about ourselves, but that’s not us. We’re here for you, the athlete, so have a look around our site and get to know yourself – you’re far more important than we ever will be. Remembering how hard it is to undo all badness!! A few naughty pleasures means a few hard hours of training. Drink plenty of water and enjoy everything in moderation. Get out and about for at least 30 minutes a day and enjoy the fabulous beaches and wilderness we have in our backyard. Fresh air is great for the soul. Spend 10 minutes a day, alone, to breath. That’s all. Simply to either sit on the floor cross legged, or lie flat on your back. Follow your breaths with your mind. That 10 minutes will keep you grounded, happy, calm during one of the craziest times of the year, and will quickly become your fave 10 minutes of the day. As we will be in another part of the state, making sure I pack food that suits my body and know that I’m not “missing out” on enjoying Christmas with our families. I’m extremely unmotivated at the moment, so I don’t know if I’m the best to answer this but I’d say – you know yourself what your fave thing at Christmas is eg scorched almonds, the different baked goods, alcohol sooo save some room for those favourites and fill your plate with those yummy salads, and healthy turkey, ham etc and dance a lot!! That way there’s no guilt! Fun outdoor activities with the kids, lots of water before meals and for food…fresh is best! Peppermint tea always makes me feel good after a big meal too-great for digestion! Not to feel guilty if you over indulge, just refocus and get your plan back on track to reach your goal.